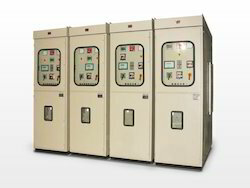 We are manufacturer and supplier of a wide range of Electric Circuit Breaker. Our range includes rmu outdoor, vcb panels, rmu indoor, vcb indoor panel, vcb trolleys, vcb outdoor roof bush panel. These products are widely used in electrical, power supply, cement and other industries. We offer VCB Indoor Panel. We are instrumental in offering a wide range of 11 kv vcb indoor panel, which is suitable for medium voltage applications and indoor installation. 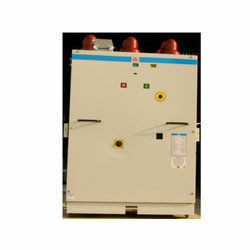 These vacuum circuit breaker (vcb) indoor panels are durable and offer excellent performance. These panels are designed for use in 11kv/33kv systems and can be operated manually or with the help of a motor. 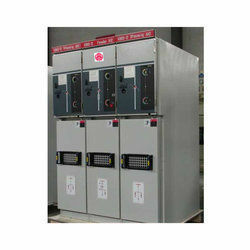 We are instrumental in offering a wide range of VCB 4 Panel Lineup Outdoor, which is used for hazardous electric crisis. Manufactured using precision engineered components, these vcb panels deliver excellent service. We also offer these vcb panels in different specifications, which meet the diverse requirements of the clients. We manufacture and supply rmu outdoor, which finds application in medium voltage range power systems. These circuit breakers are used to prevent fires and power surges in adverse conditions. Designed using latest technology, these systems deliver excellent performance and have low maintenance cost. Our clients can avail from us Ring Main Units of Indoor type, which is manufactured using precision engineered components for excellent performance. 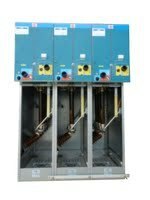 These systems are capable of resisting voltage fluctuation, which prevents short circuits. We also offer these systems to the clients in different specifications to suite 11kv power distribution system and at cost effective prices. 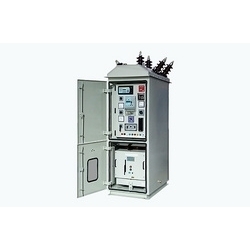 We are engaged in offering 11 KV VCB Outdoor Roof Bush Panel, which is manufactured using precision engineered components for maximum reliability. These panels are easy to install and have low maintenance cost. We also offer these panels to the clients at cost effective rates. We are engaged in providing 33 kv vcb trolley, which is used to protect overhead electricity lines and maintain the flow. Moreover, to prevent contact with oxidation or contamination, these trolleys contain perfectly sealed vacuum interrupter. Between the vacuum interrupter & operating mechanism, there is perfect synchronization. These porcelain clad vacuum circuit breakers find application in 33 kv systems. Our vcb has a simple assembly and few moving parts, which increases the electric and mechanical life of the trolley. These trolleys are easy to install and offer optimum performance. 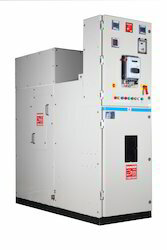 Looking for Electric Circuit Breaker ?